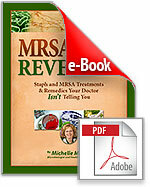 The Advanced Recovery Program™ contains ALL of Michelle’s collective works on Staph and MRSA. 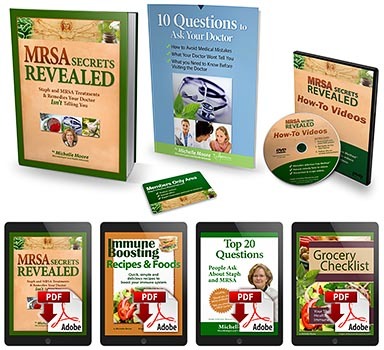 It includes her Printed works MRSA Secrets Revealed™, Michelle’s DVD with 3 Step Method and natural remedy videos and her bonus manual 10 Questions to Ask Your Doctor. 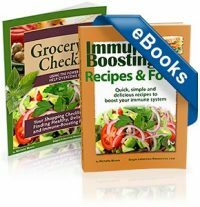 This program also includes e-Book versions of her Immune-Boosting Recipes & Foods™, Michelle’s Top 20 Questions about Staph & MRSA, Grocery Checklist and additional support videos. Printed materials include FREE priority shipping in the USA. 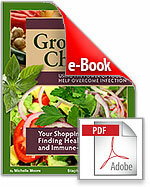 The definitive resource for treatment and prevention of Staph and MRSA using natural methods. 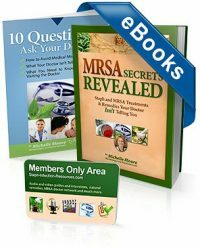 Revised in 2016, this 326 page book walks you through how to use the most powerful natural and alternative remedies for handling Staph and MRSA infections. 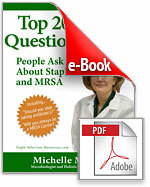 Finding the right doctor and knowing how to work with your doctor is critically important to overcome Staph and MRSA. Eating certain types of foods is one of the most powerful ways to help support your immune system to ward off Staph and MRSA infections. The foods you eat (and how you prepare them) have a huge impact on how well you resist the re-infection cycle. Save time, money and frustration at the grocery store with these convenient and easy-to-use grocery shopping checklists. Easy 3-Step Videos – Michelle walks you through her 3 Step Infection-Free Method™ to show you how she’s used the methods in the book. 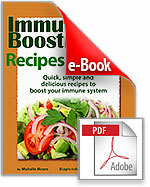 You deserve to be healthy and live without fear of recurring infections. Seize back control of your life now! 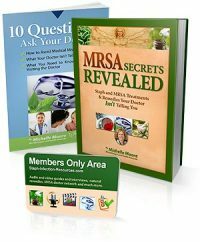 Get the Printed Program and receive the printed MRSA Secrets Revealed book, 10 Questions to Ask Your Doctor and the Program DVD shipped to your home via USPS Priority Mail. 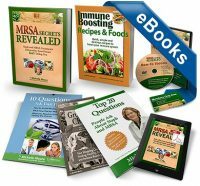 Program also includes the e-book versions of MRSA Secrets Revealed, Immune Boosting Recipes and Foods, Top 20 Questions and the Grocery Checklist, all with free lifetime updates. E-books are in PDF digital format. Get instant access to read on your PC, tablet or smartphone. Printed materials ship FREE via USPS Priority Mail in the USA! “…you gave many suggestions to people freely and honestly. It was the first thing I had found in hundreds of searches that seemed “genuine”. So I took the chance and ordered your book… and it is changing my life! “I am SO pleased with this book. It is worth a great deal more than I paid.. The boil I got started to scare me and was starting to make me sick. My physician did a culture and that’s how we knew it was MRSA. ♦ Computers, tablets or phones shown in above photos are not included.